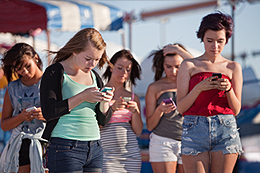 If you have read any articles or watched the news recently, you probably have heard of the “mobile” craze. Smartphones are becoming increasingly popular among consumers, and one of the key reasons for their rising sales is due to the presence of web-based applications. The iPhone and Android platforms are launching new apps on a daily basis, all of which are tailored to target specific consumer niches. The ability to quickly access information or make purchases on the go is one thing people are simply going crazy for. The statistics for mobile use are staggering, but what’s more interesting (and compelling) is that it’s continuing to climb on a daily basis. If you own a business, there is no better time to start marketing on a mobile basis. You can think of this new development as a paradigm shift, because that is really what it is. The internet transformed the way people connect to and access information. 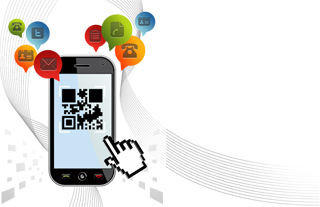 The inception of mobile applications and capable devices has created a similar shift. More people use their smartphones to access the web than they do with a computer, so what does this mean? It means your business needs to be mobile ready. If it is not, there should be no reason why you are complaining about a lack of sales revenue. You have been warned! Is mobile really that popular? To set the facts straight and to eliminate any doubt that mobile usage is a phenomenon of our time, here is some recent data to help drive home the point. Consider this your wake-up call. Not being mobile ready is equivalent to shutting the doors to consumers that desperately want in. The numbers do not lie. We really are living in a mobile world. No longer is the internet a place for mere recreation or for business owners taking the brave step into establishing an online presence. What we have now is a rapidly changing, dynamic landscape that necessitates a much quicker response. People crave convenience, and mobile delivers that. A business that is mobile ready is one that will automatically seize a larger portion of the market without even having to try. Develop an app, and you can guarantee that it will be used. Make your website mobile friendly, and will certainly rake in more conversions. This is not a myth or creation of the tech world. It is real and it is happening as you read this. By the time you are done reading this article, the above statistics will have already become history. That is what mobile is. The question is, are you ready?